An important highlight of the new 6 Series Coupe is the audio system designed by the Danish audio gurus at Bang & Olufsen. The hi-fi system that was developed specially for this concept model and sets new standards for in-car listening enjoyment. It is specially matched to the interior acoustics of this 2+2-seater, and according to the press release, the “superior audio experience comes courtesy of extra-high-quality system components – plus innovative sound control technology never before featured in a car hi-fi system.”. Today, the Danish company issued a press release announcing their partnership with BMW. Bang & Olufsen is proud to announce a creative partnership with German car manufacturer, BMW – A partnership that promises to blend innovation and long-established tradition with cutting-edge technology and design. The first fruits of this partnership will be on display at the Paris Motor Show, 30 September to 17 October, with the unveiling of the new Bang & Olufsen High-End Surround Sound System featured in the BMW 6 Series concept car – a glimpse of what the future may hold for this exciting partnership. The shared values and unique brand identities of BMW and Bang & Olufsen make an excellent match. Both brands combine design and technology with the joy of driving and pleasure that comes from superb sound quality. They also combine an unrelenting quest for technical excellence with an uncompromising commitment to quality and style, and have the courage to go beyond the ordinary. When BMW approached Bang & Olufsen to discuss the development of a sound system for their future range of cars, the companies already had a history of working together. For years, Bang & Olufsen had been supplying speciality aluminium components for a number of BMW cars. The superb craftsmanship and attention to detail of these components reflects everything that Bang & Olufsen creates and perfectly matches BMW’s expectations of a first-class car sound system. 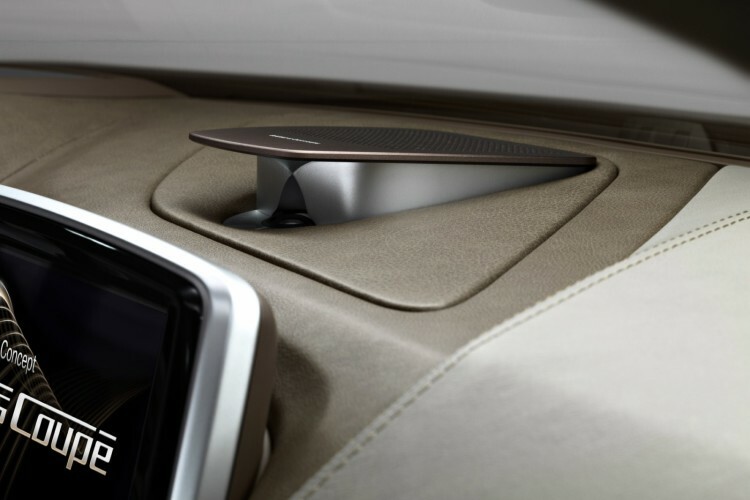 The Bang & Olufsen High-End Surround Sound System featured in the BMW 6 Series concept car was developed under a veil of secrecy at the Bang & Olufsen research facility in Struer, Denmark. Over many months of intensive research and development, the sound system began to take shape. 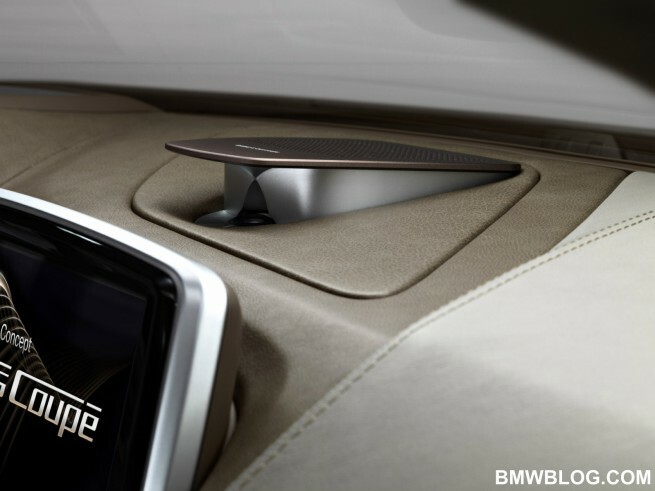 The result is a sound system that seamlessly integrates the clean Danish design of Bang & Olufsen with BMW’s dynamic three-dimensional style and the flowing, sporty interior lines of the BMW 6 Series concept car. The sound system features several unique design elements, such as the hand-crafted Acoustic Lens positioned in the centre of the instrument panel, which, when activated, opens up to reveal the lens inside. A well-known and highly-acclaimed Bang & Olufsen car and home audio technology, Acoustic Lens Technology (ALT) is featured in numerous Bang & Olufsen products, including the top-of-the-range BeoLab 5 loudspeakers. ALT maximises the area of optimum sound in front of the loudspeaker, providing an improved sense of space and realism compared to the focused beam of sound produced by traditional baffle-designed loudspeakers. 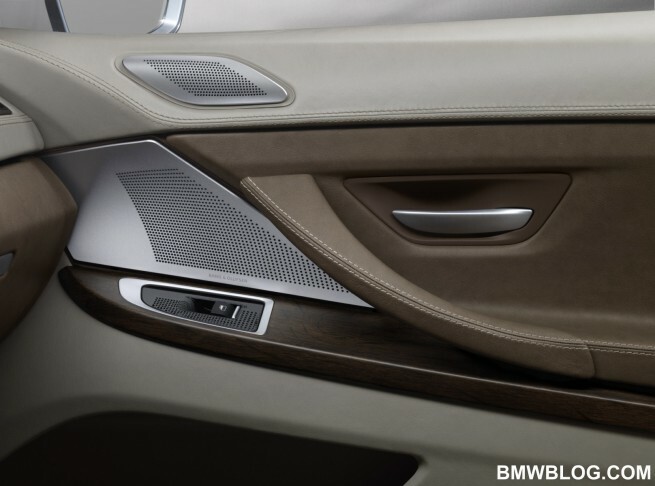 The solid aluminium grilles covering the 16 high-performance loudspeakers also complement the design of the interior space while creating a sense of uniqueness. Finished in a stylish anodised ‘Perl Glanz’ colour with laser-engraved Bang & Olufsen logo, the grilles appear to float above the interior surface, accentuating the dynamic and sporty feel. The hole patterns of each grille were meticulously drilled, so no matter which angle you look from, the holes are perfectly aligned, a design feature unique to the Bang & Olufsen car sound system portfolio. The layout of the 16 fully active loudspeakers, with a subwoofer positioned under each front seat, seven mid-range loudspeakers and seven tweeters, creates a highly balanced listening experience that will envelop the driver and passengers in a crystal-clear sound stage. What are the best songs to test your car’s speakers and sound system?